Last week, Liberate Laguna ran a full page [ad] in the Laguna Beach Independent, endorsing me without my permission. As a candidate, my commitment is to run a positive campaign without endorsement from special interest groups. I appreciate the time and thought that any organization commits to evaluating my candidacy and understand the role they play in educating their constituencies; however, the support of my candidacy by any organization only implies that they endorse what I stand for, not the other way around. 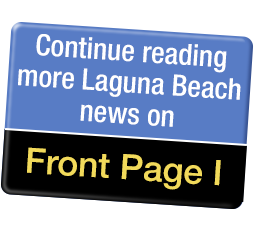 I remain deeply committed to serving Laguna Beach in a transparent and inclusive manner. Before I cast a vote, I promise I will gather as many facts as possible and listen to all sides before acting in the best interests of our residents. I have acted in this way in my consecutive terms as Planning Commissioner and will continue to do so if elected to City Council.